And now the Huffington Post has a report about Hummus - which is moving into mainstream food culture faster than anyone expected. Ask the chief executive of Tribe Mediterranean Foods to describe his company’s hummus factory, and he’ll gush for a full five minutes that make a cold production floor sound like a warm wonderland of chickpeas. “We then move our tender chickpeas into the caring hands of the flavor matchmakers,” Carr continued, explaining those people don’t necessarily follow a strict recipe but vary the ratio of sesame seed paste, oil and spices needed to make hummus depending on the season. Quality control testers at the end of the factory line, or “seasoned spicers” in Carr’s words, then test every batch of hummus, consuming up to three-quarters of a tub each workday. “Obviously, they use a new spoon every time,” Carr said. There is a strategy behind how Carr speaks of Tribe’s Taunton, Mass.-plant as if he's a modern-day Willy Wonka of hummus. Tribe, the second-largest hummus brand in the United States, just underwent a complete brand makeover. Besides snazzy new packaging, increased social media engagement and new flavors, Carr said, connecting with consumers about how exactly hummus is made is a key aspect of the company’s marketing push. Carr said his company realized over the past year just how much American foodies most likely to consume hummus dislike the idea of having their food appear mass-produced. But Tribe is hardly alone in coming to that conclusion. Last month, Starbucks rolled out a line of pastries intentionally designed to look imperfect and “homemade,” in a bid to boost sales. Meanwhile, in the craft beer market, MillerCoors is trying to cement its Blue Moon brand as truly artisanal, fighting "beer snobs" who dismiss it as another mass-produced brew. Tribe’s marketing effort is more scattershot than that, and includes trying to position the brand as equal parts playful, healthy and classy. For example, as part of its branding, Tribe is introducing a giant chickpea as a company mascot. At the same time, Carr said Tribe is hoping to tap into that undercurrent of dislike for standardized production in order to increase sales. His company commands some 8 percent of the U.S. hummus market, according to Bloomberg. Sabra Hummus, the industry’s undisputed leader, has over 60 percent of the market share. Last year, sales for "refrigerated flavored spreads" -- comprised mostly of hummus -- totaled $530 million, according to The Wall Street Journal. Carr said he hopes Tribe's marketing increases the number of households who consistently buy hummus. Sometimes life just moves too fast and some things don't get the attention they deserve. But better late than never - so we're posting a bit late - the blog from KCRW of the Hummus competition that was conducted here in LA. Yours truly was one of the judges in a Hummus competition and sat on the same panel as Evan Kleinman - one of the most respected food critics in California who's honesty, and exquisite taste has helped educate Angelenos and make LA one of the food capitals of the nation. In the first LA Hummus competition Egyptian Nancy Boules of Cafe Dahab won. Egypt as mentioned in the past in our Hummus blog had been the birth place of Hummus - so there was something historic in this win. It is so wonderful that Hummus is slowly making it's way into mainstream culture - cause it is a food that is both healthy, nutritious and so tasty. Enjoy the article and hope it makes you want to eat an entire bowl of Hummus. I don’t judge many food competitions, but when I was asked to judge a Hummus Competition I was intrigued. I eat hummus. I make hummus. But I’m not an expert on the addicting puree. I’ve never been to Israel or Lebanon or Egypt so I have no frame of reference for what is considered correct and delicious in situ. I have no idea of regional variations. The contest, organized by filmmaker Avital Levy, and billed as a fundraiser for her documentary “Hummus Wars” would feature “5-7 contestants – all very different – a couple Israelis, a few Americans, 1 or 2 who never made hummus before, a chef for Steven Spielberg’s Dreamworks studios and one for an Egyptian restaurant. Since 2007 Israel and Lebanon have battled with chickpeas and tahini over the Guinness World Record for the largest bowl of hummus. As the years go by the competition has pushed the size from a paltry 900 lbs to the current Lebanese behemoth bowl at 23,042 lbs (see photo above). The title has gone back and forth across the border over the years. Entries ranged from a lemony, super smooth Egyptian puree to a rough mash made in the pre-blender/food processor style. There was an assertive SoCal version made with Jalapenos and a New York entry that was dense and sweetened with caramelized onions. Cumin was omnipresent in some and nearly absent in others. A couple could have used a little salt. I learned a lot, laughed even more and learned that democracy is a powerful thing. Turns out that we judges came to the same conclusion as the audience “tasters” who were texting their faves. The winner for 2012 was the super smooth lemony hummus made by Egyptian Nancy Boules of Cafe Dahab. Runner up was 70 year old Jerusalemite Ram Alkaly, represented by his son Ben. Last winter, executives from the snack-food empire Frito-Lay invited Ronen Zohar, the Israeli head of America's biggest hummus company, to watch the Super Bowl from a luxury suite at the Superdome in New Orleans. For the snack-food industry, the Super Bowl amounts to something like Christmas and every kid's birthday party wrapped into one, a day on which the average American consumes the caloric equivalent of 20 servings of Utz's sour cream and onion dip. For Sabra, whose red-rimmed tubs of hummus are increasingly found inside American refrigerators, the stakes were particularly high. 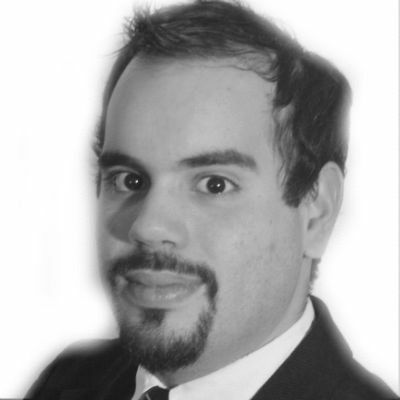 "People are dipping in Super Bowl," Zohar said. "They are looking for what to dip. Unfortunately they are dipping in the wrong product. But we try to change this. And we are doing okay." Around Sabra's offices just outside New York City, employees are fond of saying that they hope to put their Middle Eastern chickpea dip "on every American table." Though that mission is far from achieved, the company is off to an impressive start. In the last half-decade, overall sales of hummus have climbed sharply in the United States, with Sabra capturing about 60 percent of the market, according to the Chicago-based market research firm Information Resources, Inc. This spring, Sabra announced an $86 million dollar expansion of its Virginia factory, a move that the company says will create 140 jobs. As the company's leader during this stretch, Zohar has overseen a wide-ranging publicity effort aimed at simultaneously coaxing Americans to open their minds to a new taste of foreign origin while downplaying controversial aspects of the product's provenance. In an age of significant spending by America's pro-Israel lobby, even chickpeas have been swept into the debate over Israel's occupation of Palestinian lands, its attitude toward its Arab neighbors and its reliance on American support. Pro-Palestinian activists have in recent years organized boycotts of Sabra's Israeli parent company, Strauss, for providing care packages to the Golani Brigade, a branch of the Israeli army that has allegedly committed human-rights abuses in the West Bank and Gaza. Groups in Lebanon have criticized Sabra for reaping the spoils of what they say is an intrinsically Lebanese dish. To quote a saying that has surfaced on the Internet, "First our land, then our hummus." Ronen Zohar, the CEO of Sabra, is the leader of an effort to put hummus "on every American table." Zohar, a blunt-spoken man of 52 who rose through the industry by persuading more Israelis to consume American corn products, dismisses both groups of critics as irrelevant. The Palestinian boycott amounts to mere "noise," he says. As for the argument that hummus belongs to Lebanon: "I am very happy if Lebanon is going to fight about the hummus and not about anything else." Like any businessman, Zohar likes to talk about his product's promising future. But hummus has a long history. And in the Middle East, history has a way of intruding upon the present, shaping questions about the legitimacy of what Sabra has been adding to the American table. "The history of this food is that of the Middle East," writes Claudia Roden, an Egyptian-Jewish cookbook author who has been credited with introducing Middle Eastern food to the West. "Dishes carry the triumphs and glories, the defeats, the loves and sorrows of the past." No one knows for sure how far back the history of hummus goes, but traces of chickpea, the key ingredient, have turned up in Middle Eastern archeological sitesdating to 7,500 B.C. In his bestselling book, Guns, Germs, And Steel, the anthropologist Jared Diamond identifies the chickpea as one of several hardy, nutrition-packed food crops that grew in the Fertile Crescent and enabled its people to develop agriculture and, in turn, cities, armies, systems of taxation and governments. As civilization spread outward, chickpeas did, too, becoming garbanzos in Spain and chana in India. In the Middle East, they were boiled, mashed and mixed with the sesame paste known as tahini, becoming "hummus bi tahini," more commonly known as hummus. In recent years, the growing popularity of hummus has made the dip an object of controversy. Sabra instigated one of the fights at a publicity event in New York in 2007, where it served several hundred pounds of hummus on a plate the size of an above-ground swimming pool, prompting its executives to boast that they had produced the largest dish of hummus in the history of the world. A year later, an Israeli competitor, Osem, responded by serving 881 pounds of hummus at an outdoor market in Jerusalem. The event took place on Israeli Independence day, or as Palestinians call it, Al Nachbar, The Disaster. A Guinness representative was there to document the victory. Lebanon entered the fray about a year after that, doubling Osem's record at a cook-off in Beirut. The chefs, who had been convened by a pair of Lebanese business associations, used spices to decorate what was now the world's largest hummus plate with a picture of the Lebanese flag. While they were at it, they also broke Israel's record for the largest bowl of of tabouli, a bulgur and parsley dish. According to The Daily Star of Lebanon, the groups that organized the event had a more grandiose goal than merely notching a volume record: They hoped to promote the idea that the Lebanese had invented both tabouli and hummus. In the months after that feat, Lebanon and Israel traded shots, with Lebanon delivering what has so far proved the victorious blow, serving 23,042 pounds of chickpea dip at a weekend-long gathering in 2010. On the eve of the event, Ramzi Nadim Shwaryi, a Lebanese TV chef and one of the festival's coordinators, told the Lebanese press that he and his allies were in it for Lebanon's honor. "We will stand together against this industrial and cultural violation and defend our economy, civilization and Lebanese heritage," he said. At about the same time the hummus wars were playing out in Lebanon, a group of Palestinian-sympathizers in the United States tried to call attention to Israel's military activities in the West Bank and Gaza by pressing for boycotts of two Israeli-owned hummus companies -- Sabra, and one of its larger competitors, Tribe. The boycotters identified themselves as supporters of a broader movement called Boycott, Divest and Sanctions. Launched by Palestinian activists in 2005 following failed peace negotiations, the organization aimed to apply economic pressure on the Israeli government to end its 46-year occupation of Palestinian territories. A YouTube video produced by protesters in Philadelphia who were part of the movement caught the attention of student activists at Princeton and DePaul universities in 2010. They tried to persuade their schools' dining services to stop offering Sabra. Although they didn't succeed, activists in the movement are still trying to garner support for their anti-Sabra efforts. Still, Zohar does not seem particularly distressed by the potential implications for Sabra's sales. "The protesters make noise, but they make noise to themselves," he said. "It doesn't have any influence on our business." As the protests played out in the margins, Sabra aimed its product at the American mainstream. It deployed volunteers in trucks to hand out free samples of hummus in cities around the country, and expanded its product line to include more familiar dips, including guacamole and salsa. At the root of Sabra's success was an influx of corporate money and resources. Strauss, an Israeli snack-food giant, bought half of Sabra in 2005, and Frito-Lay, the snack-food division of Pepsico, entered a joint-partnership agreement with Strauss in 2008. Zohar worked closely with the Frito-Lay people, who had scored a big victory for a foreign dip in the early '90s, when Tostito's salsa beat Heinz Ketchup to becomeAmerica's best-selling condiment. With Frito-Lay and Strauss' investments, Sabra built its Virginia factory, where it developed flavors intended to appeal to the average American consumer: Spinach and Artichoke, Pesto, Buffalo Style. As Arabs and Israelis quarreled over the origins of hummus, Sabra was putting out a product that bore about as much resemblance to the authentic dish as a Domino's BBQ Meat Lovers pie does to a genuine Italian pizza. In Israel, meanwhile, yet another hummus debate was raging, and although it was the least overtly political of the controversies, it was no less capable of provoking feelings of hostility and anger. As the celebrated British-Israeli chef and food writer Yotam Ottolenghi and his Palestinian-born business partner and co-author Sami Tamimi wrote in the 2102 cookbook Jerusalem, "Jews in particular, and even more specifically Jewish men, never tire of arguments about the absolute, the only and only, the most fantastic hummusia." A hummusia is the Israeli equivalent of a New York pizza parlor, a cheap establishment that usually serves only hummus and a few other dishes. But the debates about hummusias are more intense than even the most impassioned pizza threads on Yelp. "The hummusia fetish is so powerful that even the best of friends may easily turn against each other if they suddenly find themselves in opposite hummus camps," Ottolenghi and Tamimi wrote. The arguments "can carry on for hours," they noted, with the debaters delving into the minutia of whether hummus is better served warm or at room temperature, smooth or chunky, topped with fava beans or cumin and paprika, or nothing at all. In a letter to The New York Times at the height of the hummus wars, Israeli food writer Janna Gur went even further, calling Israel's fascination with hummus a "religion." She noted that the most treasured restaurants are invariably owned by Arabs, a phenomenon she traced to the early Zionist settlers who arrived in the Holy Land determined to put the customs of the Diaspora behind them, while embracing a new identity in the Levant. They traded Yiddish for Hebrew, yeshivas for plowshares, and matzoh balls and tsimmis for falafel balls and hummus. "This love affair, that has been going on for decades, shows no signs of dying," Gur wrote. Last summer, while traveling in Israel, I visited as many of the hummusias as I could, hoping to come to my own conclusions about the craze. I was joined in this mission by my father, who moved from Israel to New York in the early 1970s and has griped about the quality of America's hummus offerings ever since. Like many Israelis, he looks down not just on corporate hummus brands like Sabra and Tribe, but also on local shops that package their own hummus in take-out containers. As far as he is concerned, the religion of hummus forbids packaging of any kind. In the Middle East, hummus is served fresh from the pot, on a big communal plate dripped with olive oil and sprinkled with paprika and cumin. The plate has to be big enough and flat enough so that you can comfortably wipe up the hummus with a pita, an activity that my father refers to as "swiping." He insists that hummus should have a subtle, earthy flavor, and disdains spicy hummus, lemony hummus, hummus with chipotles, hummus with artichoke, hummus with basil, sun-dried tomato or spinach, and most of all, the dip referred to as "black bean hummus." As he has pointed out many times, hummus is the Arabic word for chickpea; by definition, hummus made of black beans isn't hummus. In Israel, my father and I ate at Abu Hassan, a bare-tabled hummus den in the seaside town of Jaffa, where the staff starts serving early in the morning and shuts down the shop after the pot runs out, often in the early afternoon. We wandered the narrow streets of Jerusalem's Old City, past the pilgrims crowding into the Church of the Holy Sepulcher, until we reached a tiny hummus shrine adorned with black-and-white pictures of people sharing a meal at the shop sometime in the 1930s. One day we drove to a city in Palestine's West Bank known for its tahina factories and uprisings. By law, Israelis are forbidden from entering the Palestinian territories, except to travel to the Jewish settlements, but we felt that no hummus pilgrimage would be complete without a trip to Nablus. At the checkpoint, an Arab cab driver pulled over and said he hoped, for our own sake, that we wouldn't enter the city in our Israeli rental car. We thanked him and drove past the Israeli guards, through the rounded hills studded with olive trees. My father grew quiet. When he'd first traveled those hills, in 1967, he was in a tank, pushing forward toward the Jordan River as thousands of Palestinian refugees streamed down the sides of the road. The Six-Day War had broken out and the Israeli army had conquered the Palestinian villages. After a while we reached the outskirts of Nablus, parked and made our way through the maze-like casbah, to a dim, windowless hummus restaurant with electrical wires hanging from the ceiling. A teenage boy strolled into the room with an unmarked bottle of olive oil, tipping it onto people's plates. After a few minutes of "swiping," my father announced that this was the best hummus he'd tasted on the trip -- though he also remarked that the excitement of entering forbidden territory had enhanced the flavor. By that point I knew that my hummus palate wasn't refined enough to discern the subtle differences between the various hummusia offerings, but I liked them all better than any hummus I'd ever had in America. Toward the end of our stay, we traveled to the fertile hills of the Galilee region, where an Arab chef named Husam Abbas had been garnering praise for his gourmet take on Arab food, defying a number of Israeli assumptions about Palestinian culture. Abbas, who has been described as a leading figure of Israel's Slow Food movement, broke ground at his chain of high-end restaurants by showing Israelis that Arab cuisine isn't just hummus and kebab. His specialties include a spicy watermelon salad with diced mustard stems and stuffed summer squash in a tomato bisque, and he uses produce grown in fields that his family has tended, by his account, for 1,700 years. Abbas met us by the side of the road in his pickup truck and led us into his fields. A gruff man with a leathery face, he tramped down the leafy aisles with a cigarette lodged in his mouth, stooping to gather purple-tipped string beans, young cantaloupes that looked more like cucumbers, several kinds of summer squash, and beautifully misshapen heirloom tomatoes. Later, in the dining room of one of his restaurants, he explained that when the growing season ends, he and his children go into the hills to gather wild herbs with names like "olesh" and "aqab" and "hobeza." The herbs grow only locally and only in the winter. "But because hummus is dry, it can be used throughout the year," he said. When I asked how he accounted for the dip's popularity, he kept his answer short: "Low cost, high calorie." He seemed a little annoyed at the need to deliver this dictum. As Sabra strives to make its chickpea dip as popular as bagels, burritos and other foreign-born fixtures of the American diet, it is employing a flavor palette that would test the limits of acceptability in the Middle East. One recent day, Mary Dawn Wright, Sabra's executive chef, stood before an array of hummus containers at the company's Virginia factory, discussing these techniques. She popped open a tub labeled Asian Fusion. "Israelis would never ever think it's considered to be hummus," she admitted. A glistening spoonful of some brightly colored carrot and ginger mixture distinguished the dip from anything you'd find in a hummusia. Sabra collaborates with outside "flavor houses," whose scientists also help develop classic American products like Doritos, she explained. Asian Fusion is just one of more than a dozen flavors that Sabra has invented in its effort to convert more Americans to hummus, and Wright was almost certainly correct in her frank assessment of what Israelis might think of them. Even Zohar didn't bother to feign enthusiasm for Sabra's Buffalo Style flavor. "I detest it," he said. But for Zohar, and presumably for the rest of Sabra's executives, personal feelings about the flavors are as irrelevant as hummus' place of origin. What matters are the cravings of the average American consumer, and Zohar seems to think that no American is beyond the company's reach. At the Superbowl, he noticed that many of the tailgaters were eating Louisiana fare -- "all kinds of crabs and shrimps, whatever it is." He didn't see any hummus containers amid the jambalaya and gumbo. "Maybe in New Orleans they are eating hummus not as much as people in New York are eating hummus," he said recently. "But give us two years. They are trying it, and when they try it they become a lover." Who Makes The Best Hummus? Bragging Rights: Who Makes The Best Hummus? Who makes the best hummus? Everyone in Israel is passionate about the taste of genuine hummus, and each individual believes deeply that his or hers is the best. In Jordan, Lebanon and Syria, hummus remains a daily staple. Village streets are dotted with tiny shops that prepare hummus swirled in a brown-and-cream-colored bowl, drizzled with extra virgin olive and sprinkled with paprika or cumin. Many cuisine-related sources describe hummus as an ancient food. The earliest known recipes for a dish similar to hummus bi tahini are recorded in cookbooks published in Cairo in the 13th century. 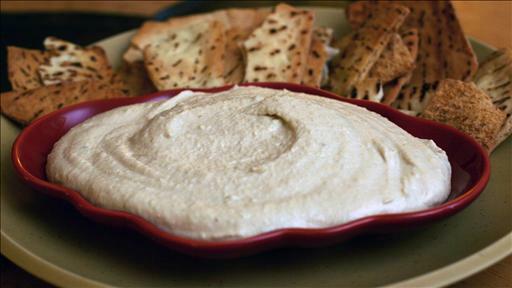 Hummus is a simple, wonderfully flavorful dip or spread made from garbanzos (chickpeas) and tahini (sesame seed paste). Its texture is velvety, rich and firm enough to scoop up with wedges of pita bread or crisp vegetables. The taste is robust, nutlike, garlicky and so satisfying that you won’t be able to stop eating it. My prize-winning recipe takes as long to make as the time it takes to measure the ingredients and blend them in the food processor. For a change of color and flavor, I sometimes add roasted peppers when blending in the tahini, but the peppers are delicious on their own, too. Some say that authentic hummus must be thick, so that you can carve deep valleys over its surface and fill them with olive oil. Then just tear off pieces of fresh pita bread to scoop up the pungent dip and pop it into your mouth. Laurie Harris and Richard Hecht, who teach at the University of California, Santa Barbara, recently returned from four and a half months in Israel. While there, they were determined to enjoy every type of hummus they could discover. They sampled plates in Mahane Yehudah Market, the central shuk in West Jerusalem; along the pedestrian mall that is now Jaffa Road; and in shops in Musrara, not far from the city center and the Old City walls. The very best in Jerusalem, in the opinion of Hecht and Harris, is the hummus at Lina, a restaurant in the Christian Quarter of the Old City. Hecht has his own ideas about what distinguishes top-notch hummus. Still, no serious hummus connoisseurs would ever think of using garbanzo beans from a can nor use a food processor. True hummus is prepared in a large pottery cooking vessel with a narrow neck, over a low flame. The beans are stirred gently with a long wooden spoon until the right texture is achieved. Some use mortar and pestle to slowly grind the chickpeas. Hecht also shares his special recipe for hummus and musabbaha, which is a breakfast hummus, served in the morning as we would eat hot cereal or cooked rice. Place the garbanzos and their liquid in a food processor or blender; process until coarsely pureed. Add the tahini, roasted pepper (if desired), lemon juice, garlic and cumin; process until smoothly pureed. Add olive oil in a thin stream and continue blending. Blend in the parsley sprigs and l teaspoon salt. Add additional salt to taste. Garnish with minced parsley. Serve with hot pita bread and sliced vegetables, such as carrots, zucchini, mushrooms and jicama. Preheat the oven to 425 to 450 F.
Place a large sheet of foil on the lower rack of the oven. Put the peppers on the rack above, in the middle or top of the oven. Roast for 15 to 20 minutes or until the skin has puffed and darkened slightly on top. Turn each pepper over and continue roasting for 10 to 15 minutes longer. Remove the peppers from the oven. While they are still warm, carefully peel off the skins. Pull out the stems and discard the seeds. Cut the peppers into segments that follow their natural ridges. Layer the peppers in a bowl with the juices, garlic and enough olive oil to cover. Cover with plastic wrap and refrigerate. When ready to serve, arrange the peppers on a serving dish and garnish with anchovies and parsley. Or place an anchovy fillet in the center of each segment, roll up and place a toothpick in the center. Drain the chickpeas, cover with fresh water and baking soda, and bring to a boil over medium-high heat. Reduce heat to medium-low and simmer, partially covered, until chickpeas are tender, about 50 minutes. Strain and cool about 20 minutes. Pour 2 cups of the cooked chickpeas into a food processor, reserving the rest to be used later for garnish and the Breakfast Hummus. Add 1/4 cup olive oil and slowly process the mixture, adding the tahini, garlic clove, cumin and salt. Add the lemon juice and the remaining 1/4 cup olive oil. When the mixture is smooth, remove from the processor. If the mixture is too rough, continue blending until smooth. With a rubber spatula, spread the hummus into a shallow dish in circular motion, leaving an indentation in the center of the dish. In a small frying pan, lightly brown the pine nuts. Add 1 to 2 tablespoons of olive oil into the indentation in the center of the dish. Place the reserved whole beans into the indentation. Sprinkle the pine nuts and parsley over the olive oil and beans in the center of the plate. Serve with whole warmed pita for dipping. Use the basic hummus recipe, but prepare the following sauce. In a small saucepan, combine the chickpeas, garlic, cumin, tahini, lemon juice, olive oil, pepper, salt and chili powder. Simmer gently; do not boil. When the mixture is warm, serve for breakfast or pour into the center of the plate of Richard’s Hummus, Lina Style, and sprinkle with parsley. Hummus is finally becoming mainstream and getting a lot of space in the pages of the Wall Street Journal. In some states - farmers are starting to plant chickpeas instead of tobacco. Here's the story. Quite impressive. Sabra sales were estimated to reach $315 million last year. CLOVER, Va.—Prodded by the largest U.S. hummus maker, farmers in the heart of tobacco country are trying to grow chickpeas, an improbable move that reflects booming demand for hummus. The humble chickpea is having a heyday. But while demand for chickpeas and hummus is high, farmers are preparing themselves for a potential shortage. David Kesmodel has details. Photo: AP. Sabra Dipping Co., a joint venture ofPepsiCo Inc. PEP -0.22% and Israel's Strauss Group Ltd., wants to cultivate a commercial crop in Virginia to reduce its dependence on the legume's main U.S. growing region—the Pacific Northwest—and to identify new chickpea varieties for its dips and spreads. For Sabra, which makes hummus at a plant near Richmond, Va., a secondary source of supplies could help protect the company if a chickpea shortage occurred because of crop failures in Washington or Idaho. Sourcing chickpeas locally also would lower its shipping costs. But the Virginia effort carries risk, because experts say the state's high summer humidity could prove a significant obstacle to its viability. "We need to establish the supply chain to meet our growing demand," says Sabra's chief technology officer, Tulin Tuzel. "We want to reduce the risk of bad weather or concentration in one region. If possible, we also want to expand the growing seasons." Long a staple of Middle Eastern cuisine, hummus is earning a growing following among Americans seeking more-healthful snacks. The chickpea dip is low in fat and high in protein. Sales of "refrigerated flavored spreads"—a segment dominated by hummus—totaled $530 million at U.S. food retailers last year, up 11% from a year earlier and a 25% jump over 2010, according to market-research firm Information Resources Inc.
Watch Denize Hazime of the popular online series "Dede's Mediterranean Kitchen" share her recipe for hummus. The growth has caught the attention of big food companies like PepsiCo, which bought a 50% stake in Sabra in 2008, and Kraft Foods Group Inc.,KRFT -0.16% which owns Athenos, another big hummus brand. 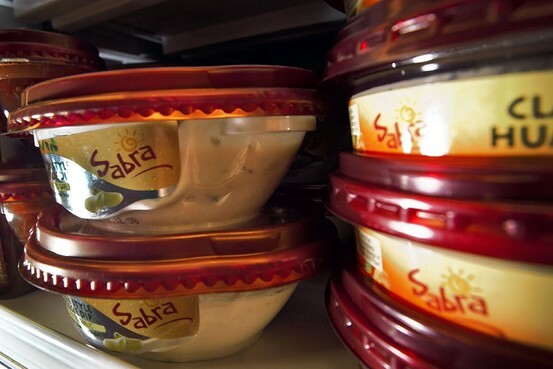 Sabra on Tuesday is expected to announce an $86 million expansion of its hummus plant near Richmond to help meet demand. It expects to add 140 jobs to the facility, which currently employs about 360, over the next few years. Sabra doesn't disclose financial data, but IRI data show its hummus sales were about $315 million last year, up about 18%. And because some retailers, including Costco Wholesale Corp., COST -0.18% don't provide information to IRI, the figures understate Sabra's retail sales. Sabra, based in White Plains, N.Y., has helped introduce more Americans to hummus through huge sampling events in major cities in which it has handed out 10,000 2-ounce packages a day. Sabra began its first national television advertising campaign earlier this year. "Most of the consumers out there still don't know what hummus is," said Adam Carr, chief executive of Tribe Mediterranean Foods Inc., a Sabra rival. "We think that there are going to be lots of new users coming to the category." Growing demand for hummus has pushed up prices for chickpeas, spurring farmers to increase production. The average price that farmers received for chickpeas was 35 cents a pound last year, a 10-cent increase over the mid-2000s, according to the U.S. Department of Agriculture. Though chickpeas are a tiny crop compared with corn or wheat, last year's U.S. harvest totaled a record 332 million pounds, up 51% from the previous year, according to the USDA. The value of the U.S. chickpea crop hit a record $115.5 million last year, USDA data show. Last year's U.S. chickpea harvest jumped 51% from the previous year. Above, Virginia farmer James Brown is testing the legume. U.S. farmers are expected to plant a record 214,300 acres of chickpeas this year, up 3% from last year and a fivefold increase over a decade ago, the USDA said. Demand for the U.S. crop from Spain, Turkey and Pakistan also has led farmers to plant more. In Walla Walla, Wash., farmer Pat McConnell, 51, said he intends this spring to plant about 950 acres with chickpeas, more than double his crop last year. "They've become a pretty lucrative option," he said. "I really think chickpeas are going to continue to grow in popularity." Virginia officials are eager to develop new crops in a state where tobacco farming has shrunk dramatically since the 1990s because of declining cigarette sales. Sabra has provided financial support for chickpea research at Virginia State University, and this spring, Virginia State recruited farmers to plant chickpeas in on-farm trials. But Virginia's summer humidity and heat could make chickpeas more susceptible to a fungus known as Ascochyta blight that long has threatened chickpea crops in the U.S.
Virginia State University agronomist Harbans Bhardwaj is working on identifying a variety more suited to the climate, that could potentially be planted months earlier than most chickpeas. Mr. Bhardwaj thinks Virginia farmers may be able to grow the crop on a commercial scale within three years. 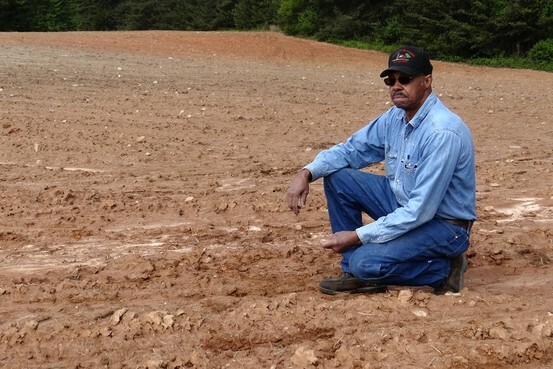 James Brown, a 72-year-old tobacco, corn and soybean farmer in Clover, Va., said he knew nothing about chickpeas when an extension agent from Virginia State called him several months ago and asked if he would plant the legume. He said he jumped at the opportunity because he is looking for ways to make his roughly 300-acre farm more profitable. 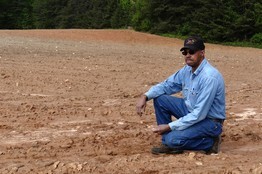 Mr. Brown planted four acres with chickpeas in mid-April. That week, his wife served him the first chickpeas he'd ever eaten. "They tasted pretty good," the farmer said. Sabra co-owner Strauss discloses some of Sabra's financial results in Strauss's securities filings. An earlier version of this article failed to note the parent company's disclosure. A version of this article appeared April 30, 2013, on page B1 in the U.S. edition of The Wall Street Journal, with the headline: Hummus Conquers America.